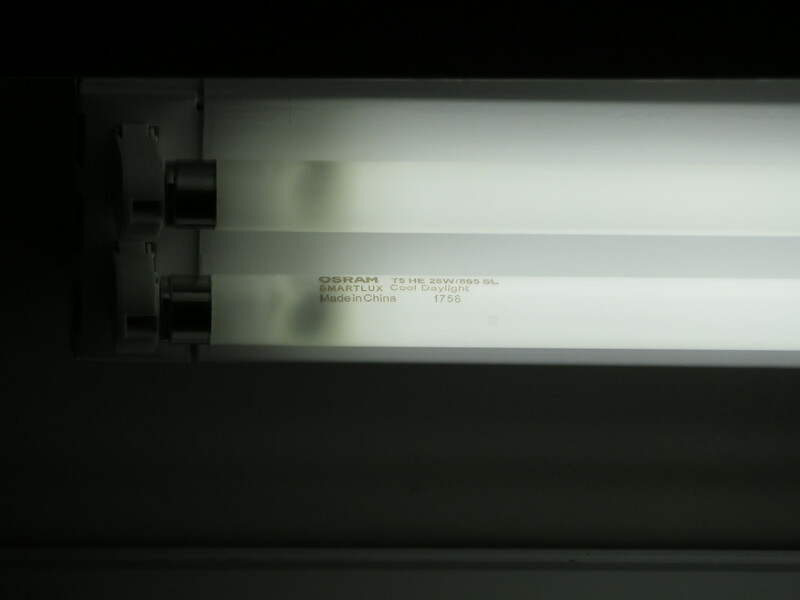 All these 6 28W T5 lamps have glowing filaments. Why? If all of the lamps cathodes are glowing, then it might be a defective programed start ballast (i had a similar thing happen to a jamicon ballast before it failed). Looks like individual fixtures, rather than a single unit? Correct? * Somebody put 28w lamps in 54w fixtures. * These are a rapid-start type ballast that doesn't cut off filament heating like program-start would. * These are dimmable ballasts, and running at something less than full brightness. The ballasts are all electronic, so rapid-start isn't relevant here, since it is a magnetic ballast topology. I don't know if these battens are tandem or have separate three 2x28W T5 ballasts. 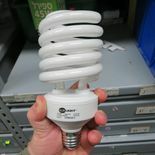 Update: Your first possibility is the correct one, as I've analyzed the brightness of these 28W T5 lamps, and seen these lamps much brighter than the ones at the Sealights in the storage of Carmel hospital, which have Philips HF-E 228 TL5 II for 2x28W T5 lamps, and are essentially equivalent to 54W T5 HO lamps in brightness, which is indeed means that there is a mismatch between the lamps (28W T5) and the ballasts (Three 2x54W T5 HO). 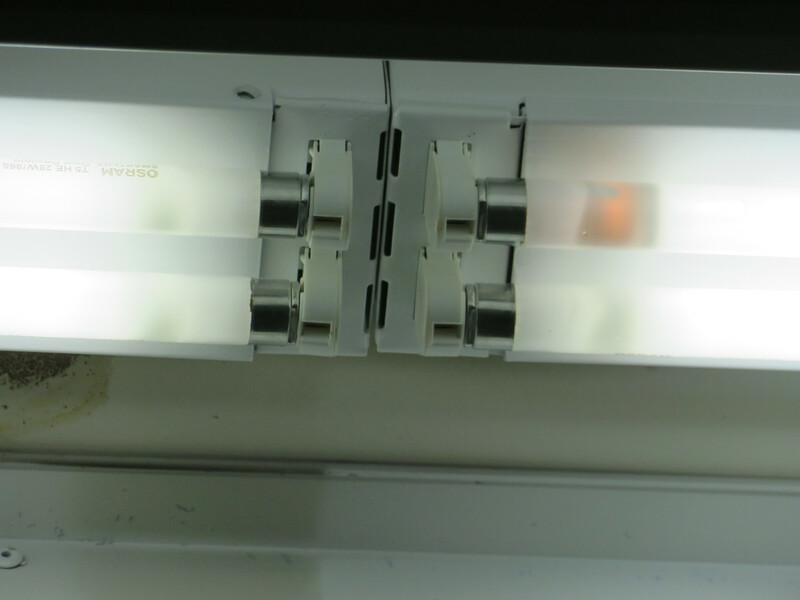 I told this to the maintenance person, and he didn't believed me that these are 28W T5 lamps that operating on 54W T5 HO ballasts, even after I've said him that the etch of the lamps reads 28W. Sorry that I didn't captured these battens from far to give you the impression. I think the ballasts aren't programmed start, but just CFL like ones, since they don't activates any EOL protection, and lets the lamps to burn with overheated cathodes and overdriven. Also: There are programmed start electronic ballasts that can detect if the lamp is 28W or 54W T5 lamps, and optimize the lamp electrical characteristics for each lamp. I'm not surprised that turned out to be the case. 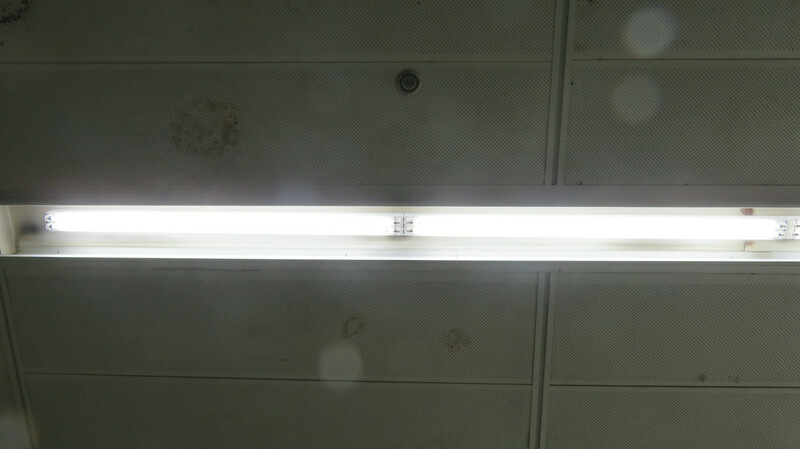 The 54w & 28w lamps (and there respective fittings) all look exactly the same, so unless you actually read the lamp etch, its an easy mistake to make. Programmed start ballasts usually triggers an EOL protection, when operating 28W T5 on 54W T5 ballast and the opposite. 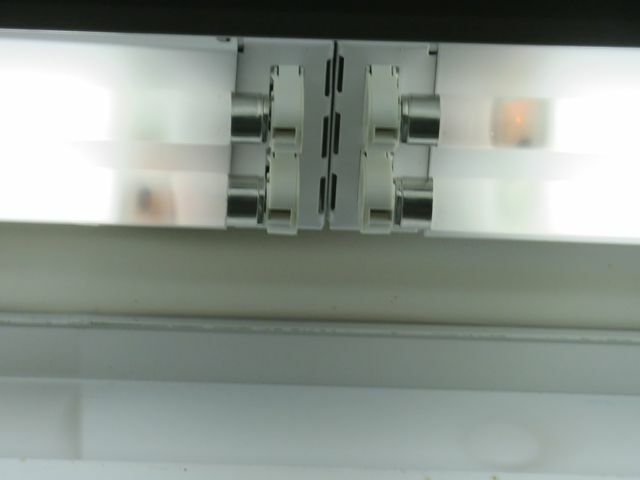 That why I think these battens have CFL like ballasts. Could be the Programmed Start ballasts you guys have are different than the ones here, but have you actually tried it? I have tested doing so on a few different ballasts (all programmed start), and didn't trip the EOL protection on any of them. Most American programmed start ballasts, don't have EOL protections at all. Here all programmed start electronic ballasts have this. I would except that the if the ballast have one, so it would trip it in the case of the lamp mismatch (28W on 54W and the opposite). Accoding to Philips website, their equivalent Essential 28W and 54W T5 lamps, have 0.170A (28W) and 0.460A (54W) respectively. Most American programmed start ballasts, don't have EOL protections at all. Every one of the F54 ballasts I tested on does have EOL protection. According to my experience, programmed-start electronic ballasts won’t trigger EOL protection when driving lower wattage lamps than they are rated for, say, a 18W T8 on a 58W T8 ballast. If it is reversed (low wattage ballast driving high wattage lamps), the ballast senses the abnormality and triggers the EOL protection. No more cheapy crappy Chinese junk, please. I'm gonna have to try lamps too long on a ballast sometime & see if it triggers the EOL protection like you got. I'm wondering what this means when this happens as well. 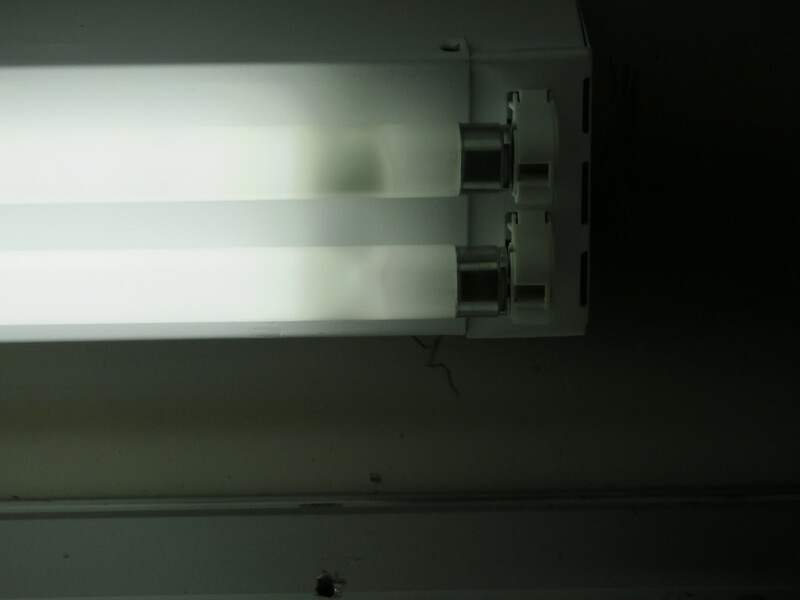 Programmed start electronic ballasts have additional protections beside the EOL one, like overheat protection which prevents it from overheating in the case of lamp mismatch or insufficient cooling in the fixture.